A big happy Friday everyone! We’re excited to launch a brand new series on Lustrous.ie today! Every Friday, we’ll be styling up an outfit with the weekend in mind. ‘The Weekend Edit’ will include all things fresh and new on the high street, along with a wishlist item or too. It’s all about balance, right?! Available in the two colours above, this M&S (yes, M&S!) jumper has become somewhat of a bloggers fave over the past few weeks – and we can see why! 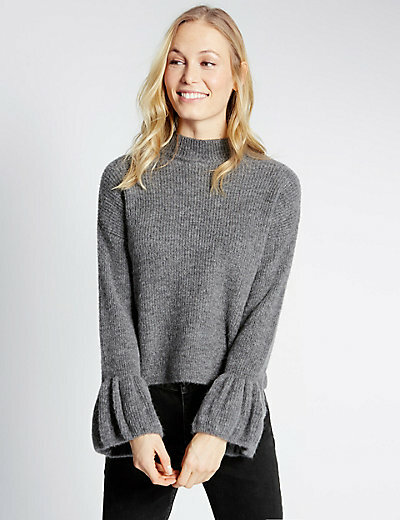 Wide sleeves are a huge trend at the moment and they add a lovely twist to this simple sweater. Paired with skinny jeans, it makes the perfect statement. 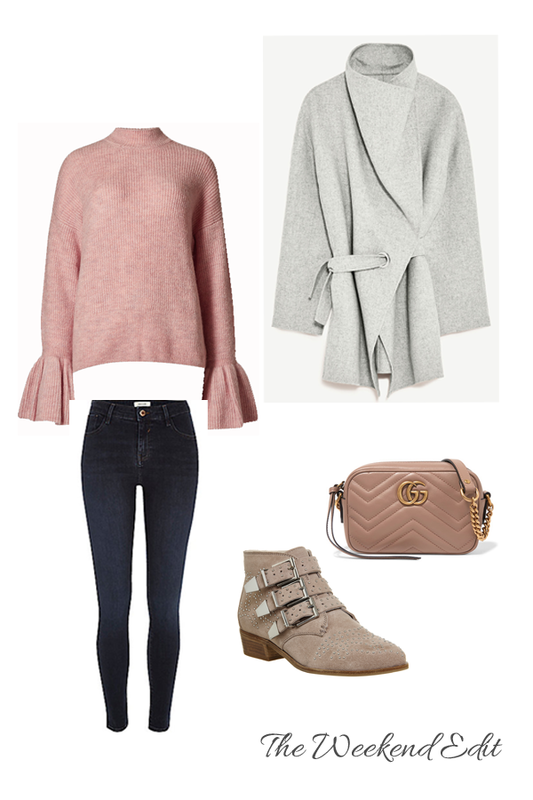 Today, I’ve teamed it with a grey coat from Zara, as I just adore a blush and grey colour combination! Office have added a few new colours to their range of ever popular ‘Chloe-esque’ studded boots and this taupe colour is a must for the brighter months ahead. The cherry on top is this beautiful Gucci Marmont mini cross body bag – simply divine!